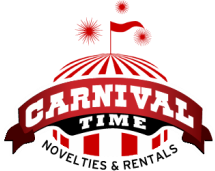 Your next party rental in Tacoma WA event will be a massive hit when you use Carnival Time. 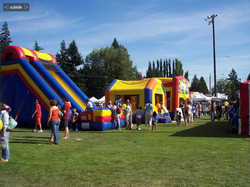 Located in Tacoma, and servicing Puyallup, Gig Harbor and Lakewood Carnival Time provides fast and smooth service. You'll find what just what you need when you need it for your event, party. With our party inflatables, games, tents and toys, matched with our outstanding customer service. We will be honored to win your you business through your trust. How? We arrive on time, we're priced inexpensively, and we take care of setup and take down. Which helps our clients stay worry free. You want a better party? We got you covered. With our starter pack you can get some awesome goods there for less. Flexibility and varied use, helps get you up to speed for a grand party.